After some long hours of editing in front of the computer screen, I present my newest experiment into film making. Please enjoy a true glimpse into paradise. The video was filmed while sailing across the extremely remote Tuamotus atolls. Exploring French Polynesia has certainly been an all-time favorite destination for me so far! For nearly four weeks I was able to join the voyage of Tua-Lisa. Maria and Modris welcomed me warmly aboard their cozy boat. Since departing from Stockholm about 2,5 years ago they have sailed their vessel through northern Europe, across the Atlantic to Brazil and then all the way around the southern end of the continent before crossing the Pacific from Chile to the Marquesas. 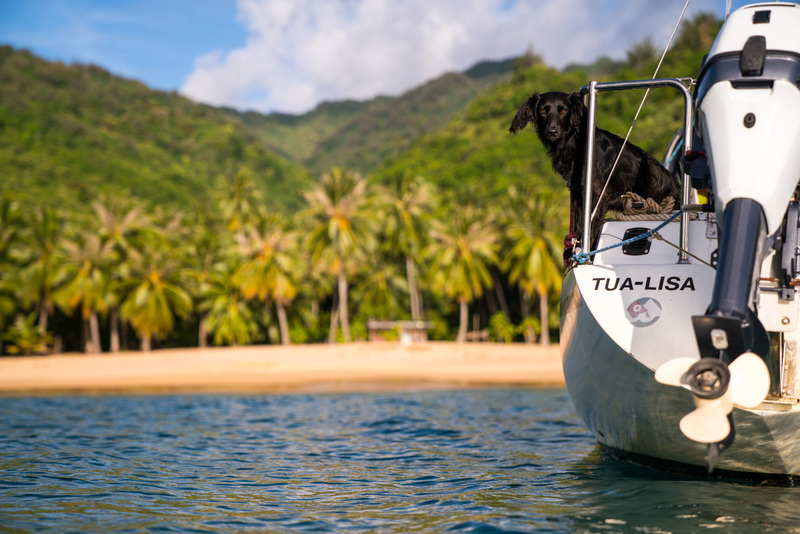 Together with their Chilean stray dog Preta, we got to explore the beautiful island of Tahuata. © 2014 - 2016. Doran Hannes. All rights reserved.